In the 20th century, corporate skunk works® were used to develop disruptive innovation separate from the rest of the company. They were the hallmark of innovative corporations. In the 20th century companies could be leaders in a market for decades by just focusing on their core product(s). Most companies incrementally improved their products withprocess innovation (better materials, cheaper, product line extensions) and/or through acquisitions. Building disruptive products were thought of as “risky” and a distraction since it was not “core” to the company and did not fit existing corporate structures. Why make big bets if no one was asking for them and competitors weren’t doing so. A few innovative companies did push the envelope. The way they did so was to set up “skunk works” to develop their most advanced, disruptive products. (IBM used the process to develop the IBM PC.) But it was Lockheed, then an aircraft manufacturer that coined the term and perfected the art. The Lockheed Skunk Works led by Kelly Johnson was responsible for its Advanced Development Projects – everything from the P-80, the first U.S. jet fighter plane, to the U-2 and A-12 spy planes. Skunk works differed from advanced research groups in that they were more than just product-development groups. They had direct interaction with customers and controlled a sales channel which allowed them to negotiate their own deals with customers. « Why not a Football-Free Campus? It is in this day and age possible for an enterprise to practice effective continuous innovation as you suggest, and to also use the skunk works model. Isolating a group within the enterprise can be useful or even necessary if the mission of that group is to explore fundamental changes and optimizations that would likely be rejected by the enterprise or cannibalized in their infancy. For example the enterprise might want to explore more efficient sales/distribution models, perhaps with a lightweight free offering aimed at a market different from the focus of the enterprise’s core sales team. Without isolation the users acquired through these efforts would easily be treated as sales leads for the core team, putting the radical experiment fully at risk. 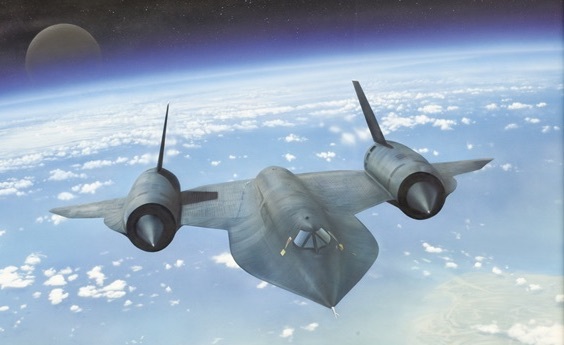 Once mature and defined, and once a new model has been proven, then the skunk works can potentially be thought of as a new division for the enterprise. the whole point was to build things, quickly in secret to fight a war. everything else, in an attempt to pretend to be important, is not. these things were built, in an attempt to prove if russians had what they said they had. not to sell stock or ‘the next best thing’ which is likely meant only to collect data and virtual advertising space; or otherwise everything that startups have been trying to do for the past 12 years. no other country out there is risking political warfare to steal intellectual property from apple or google. china already makes nearly all their hardware products in that country. its pointless. youve lost the whole point of it all. the military, needing an edge, leveraged a fantastic group of engineers, to disrupt politics. theres nothing to sell other than the defense of a nation. the things that skunkworks garners, are meant to fulfill very specific criteria. i.e. a SR-71 flies high and fast and is armed with a camera. its meant to outrun missiles. russian ones. what did it otherwise disrupt in the market? nothing. people continued, of that era, to buy other planes that did not travel mach 3+… the same goes for the U-2… it served a specific purpose.